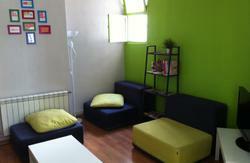 In Out Madrid is a wonderful small hostel in the heart of Madrid. It has comfortable rooms for your rest. Have rooms for 4 and 6 in mixed shared room scheme. 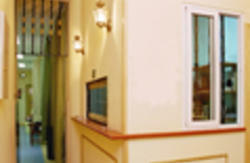 This is the best place to enjoy your holiday in Madrid: Breakfast is included, there is free WiFi and TV in the hostel. Once you reach the station of Tirso de Molina, go to the exit calle de la Magdalena. When you're on the street in front of you about 20 meters is the beginning of the street Lavapiés. You go through the right side of the street to number 32. They are 3 minutes away. When you arrive you'll be waiting up to 14 h.
If you have a problem with your schedule and your arrival is delayed when you get to watch your hostel reservation number and dial the last six digits on the keypad at the door. Wait for green light and enter. Once inside the table will be a reception on your behalf with the keys to your room and lockers.